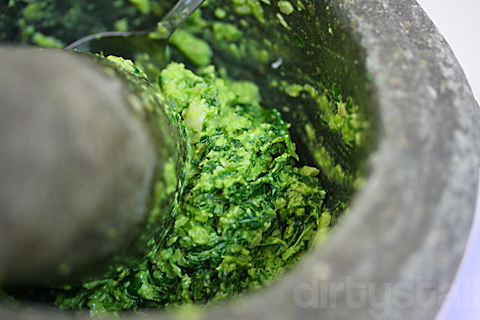 Having made pesto the mechanical way with a food grinder, I decided to try making it the old-fashioned way with a pestle & mortar. The ingredients are exactly the same as if you were to do it using a food processor. 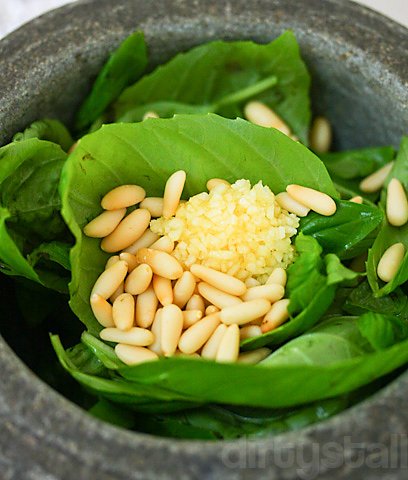 Now starts the pounding and grinding of the basil leaves, pine nuts, garlic and salt. 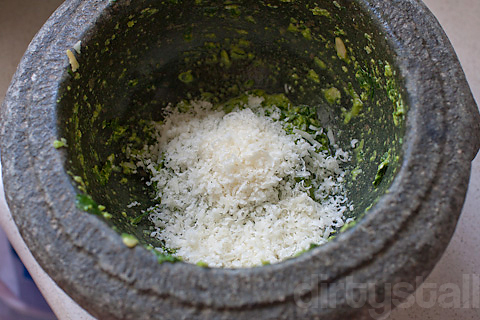 After it’s been turned into a paste-like consistency, add both the grated cheeses. 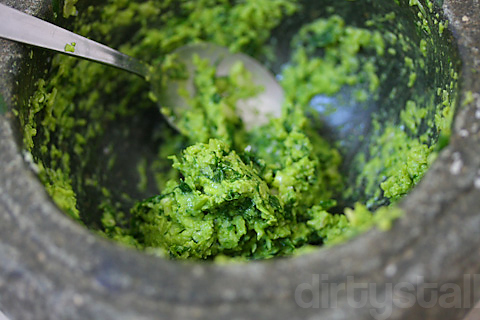 And grind them again into the paste evenly. After that stream in the extra virgin olive oil thinly, mixing it in with a wooden spoon. Follow that up with folding in the butter with the spoon as well. 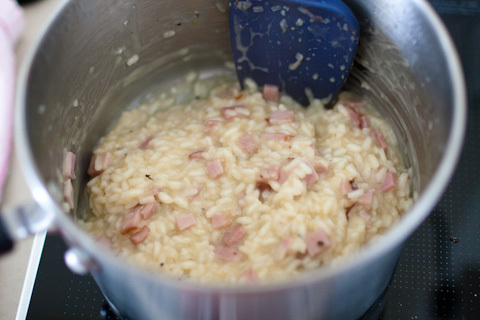 Next I made a standard plain risotto, to which I added some smoked bacon for an extra hint of smokiness to the taste. 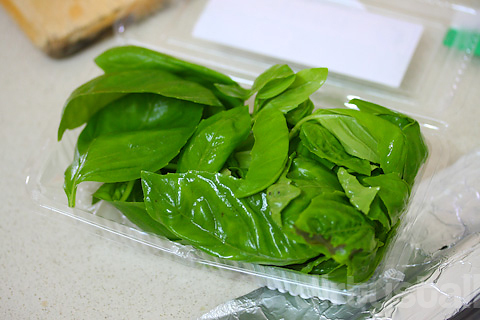 The pesto tastes more flavourful than the mechanically processed version, probably because the ingredients are not evenly ground so there are micro-bursts of flavours within, unlike the blender which just shreds everything apart. 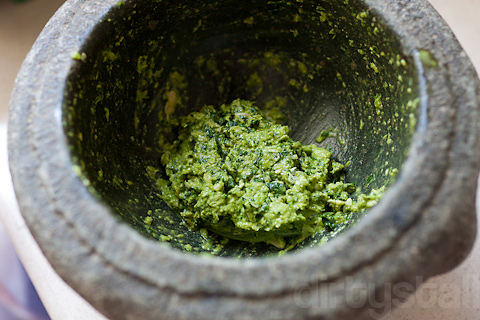 The texture is also much rougher, giving the pesto a more rustic feel to it. 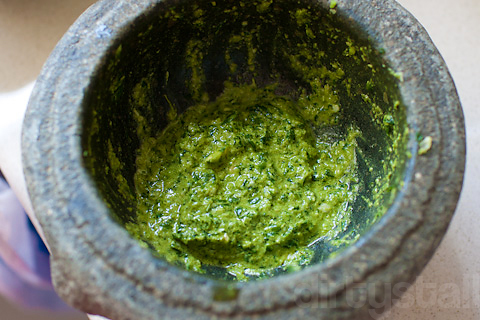 This is definitely something you should try at least once if you like pesto and possess a pestle and mortar. 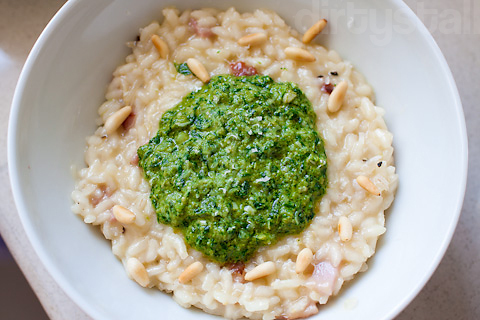 4 Responses to "Risotto al pesto"
Risotto looks YUM! Good to know that the ol’ pestle-mortar method still rocks. I can imagine all the nyonyas nodding their heads in approval!